There are at least two earlier entries devoted to the short life of Neil Klien, the Sexton at Agincourt’s non-sectarian burial ground, The Shades. Notice I don’t say “short and sad”, because I didn’t know Neil, though when I heard his story it seemed his ration of happiness might have been cut as short as his life had been: grave digging and grounds maintenance are solitary work and, even when in the company of others, they are unlikely topics of polite conversation—prurient interests being a slight part of local character. Like the chance opening of a time capsule you didn’t realize was there, Nature gave us accidental insight to Neil’s life. Strong winds from a passing storm took out several mature trees not already decimated by “Dutch elm” or Japanese beetles. And one of those upturned sentinels disturbed some nearby tombstones, revealing what were thought to be mason’s marks. On closer inspection, however, they proved to be pithy observations about the deceased, handwritten in red lead. This accidental discovery began a scavenger hunt by a few citizens for others—all of which date before Klien’s death. Informally collected, someone has suggested putting them in book form—until, that is, the subject of liability is invoked; Klein’s level of snark spared few of his inmates. Happily he has passed beyond the reach of the law, and a kind of justice has already been served. for his had stopped and she had none. Her life was an open book but a short story. You sacrificed a friendship to save one. An internationally recognized artist and etcher, Micossi studied at the Academy of Fine Arts in Rome. He then moved to New York City where he worked as an illustrator for such periodicals as The New Yorker and Saturday Review. 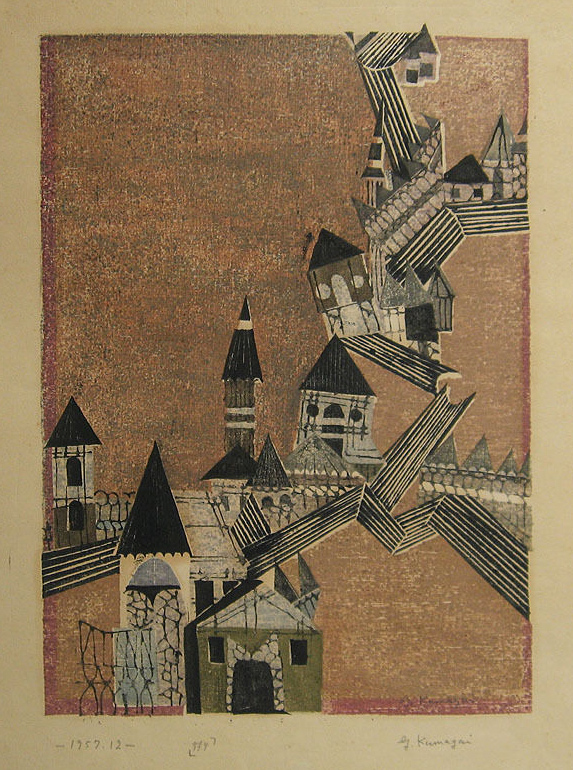 Since the early 1960s, however, Micossi has dedicated himself to printmaking and the refinement of the deep etching technique (which this print employs). Micossi’s work is in major museums such as the Philadelphia Museum of Art; the Fogg Museum, Harvard University; the Albertina, Venice; the Stockholm National Museum; the Library of Congress; and the National Gallery of Art, Washington. 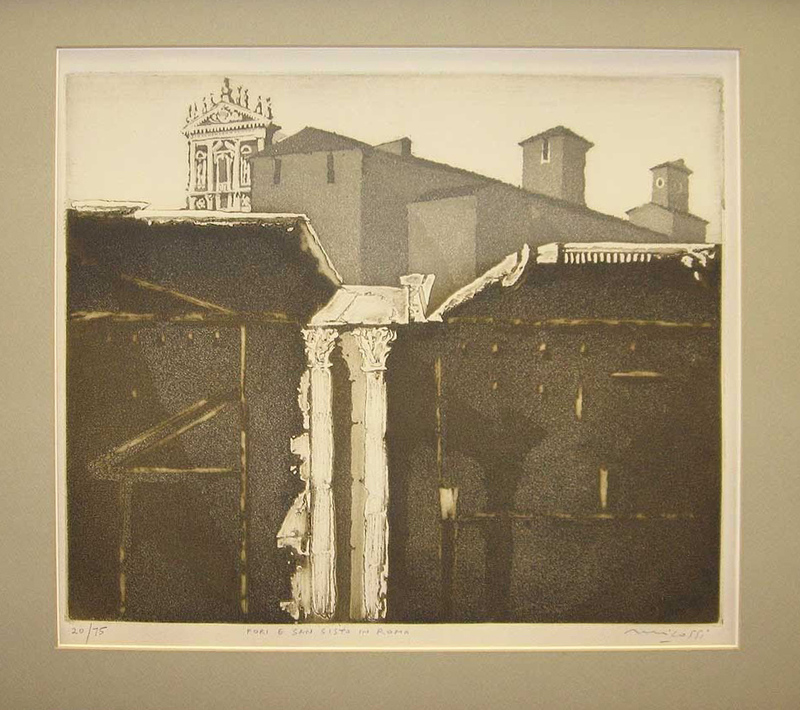 Micossi’s blinkered glimpse of the Forum at the heart of ancient Rome as it is seen by a mid-century Modernist. The deep rich velvet tones of an aquatint invite close inspection. George Jo Mess (as he preferred to be known) may have had the most diverse artistic education of anyone represented in the Community Collection: a manual training high school, the Herron Art School, Butler University, the Bauhaus in its Chicago guise, New York’s Columbia University and the Beaux Arts at Fontainebleau, France. 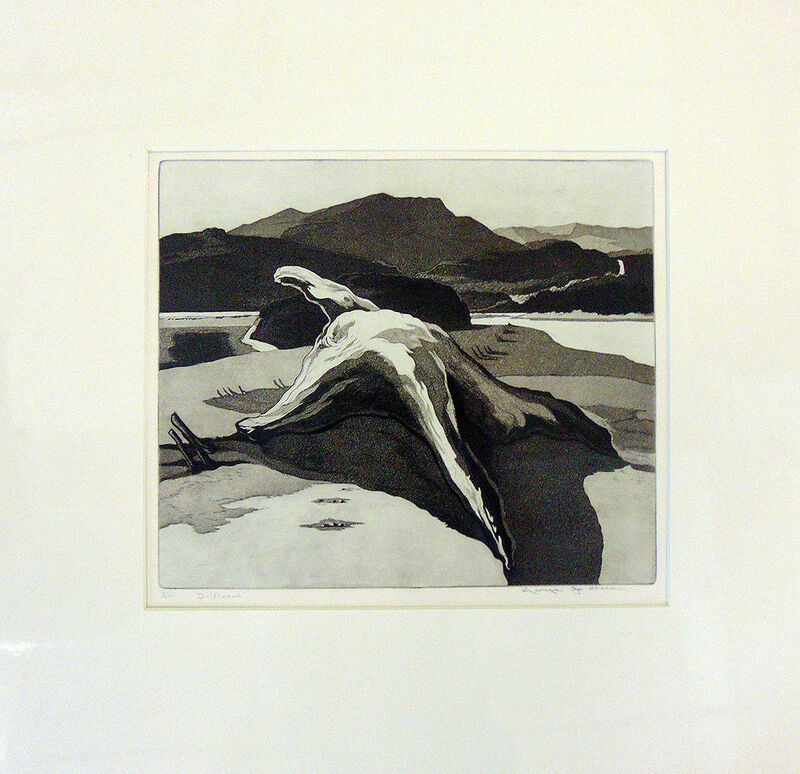 He is identified primarily as a painter and prolific printmaker, such as this stark rendering of driftwood on a beach. Documentation for this piece is sketchy, consisting primarily of a sticker on the back of its frame: Kroch’s & Brentano’s, 29 South Wabash, Chicago. Considered one of the finest early 20th century engravers, Burr was born in Ohio and attended the Art Institute of Chicago for one year. 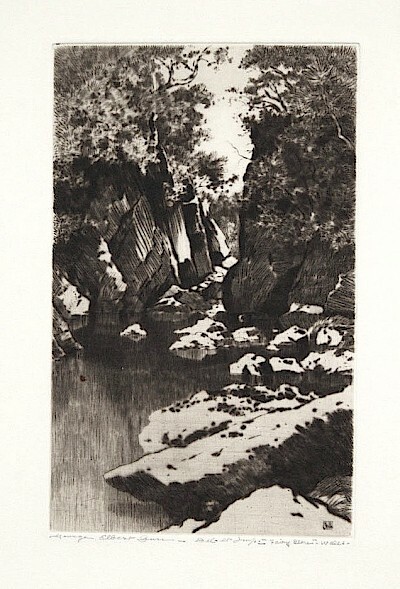 A four-year project illustrating a catalogue for the Metropolitan Museum in New York City enabled Burr and his wife to undertake a five-year tour of Europe and Great Britain, the likely source of this etching, “Fairy Glen–Wales”. This was exhibited at the Panama-Pacific Exhibition at San Francisco in 1915, which dates the print somewhat earlier. A gift to the Community Collection from the grandchildren of Edith and Ellis McGowan, this was probably purchased during their honeymoon to the Bay Area.